There is a new version of this course. Please see SAS® Enterprise Guide® 1: Querying and Reporting. This course is for users who do not have SAS programming experience but need to access, manage, and summarize data from different sources, and present results in tables and graphs. This course focuses on using the menu-driven tasks in SAS Enterprise Guide, the point-and-click interface to SAS, to create queries and reports. It does not address writing SAS code or statistical concepts. This course serves as a prerequisite for the &egprg1 course, which does include SAS programming techniques. It also serves as a prerequisite for the SAS® Enterprise Guide®: ANOVA, Regression, and Logistic Regression course which teaches statistical concepts using SAS Enterprise Guide. This course is designed for end users with no programming experience or SAS knowledge. Before attending this course, you should be familiar with Windows and other software, such as Microsoft Office or spreadsheet programs. 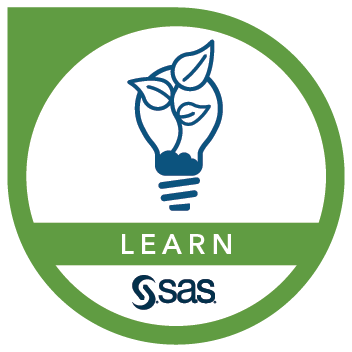 This course addresses SAS Enterprise Guide, SAS Analytics Pro software.